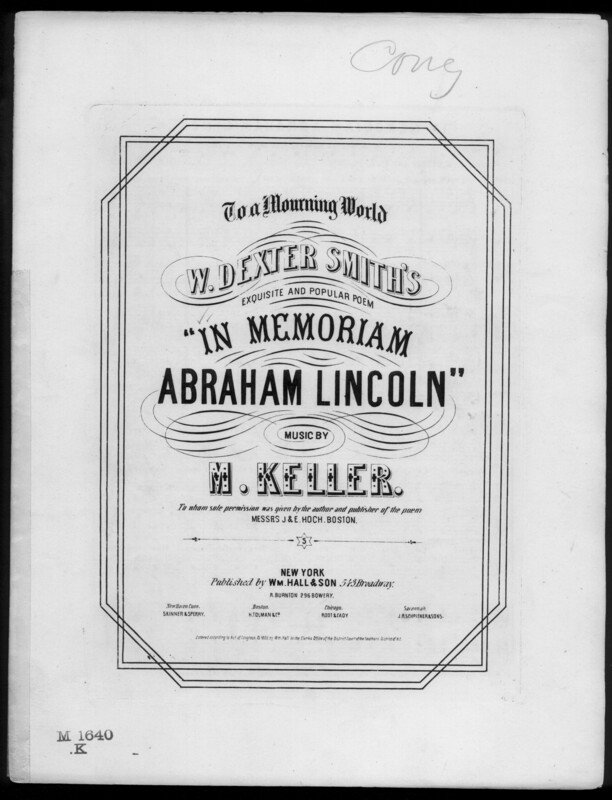 Choral work honoring President Lincoln's legacy that features four part chorus, a soprano solo, and a solo vocal quartet, with piano or organ accompaniment. It is dedicated "To a Mourning World" and sets an "exquisite and popular poem" by W. Dexter Smith. Part of the Library of Congress Civil War Sheet Music Collection, associated with the Union side. While freemen live to bless his name. Our future is alone with God! Our future is alone with God! alone with God!